Attached is the May edition of the Twig Newsletter because it’s been a very busy spring and this is the first chance I’ve had to upload it. Members have already gotten their copy directly, of course, but here it is if you need it or aren’t yet a member. A couple of exciting workshops are coming. On June 28 we design white cedars with award-winning bonsai artisan Mark Arpag, and on July 26 we host Cheryl Manning in a workshop and demo. Ms. Manning was a student of John Naka, the father of American bonsai, and apprenticed in Japan with bonsai master Yasuo Mitsuya, owner of Tokai-en in Toyohashi. 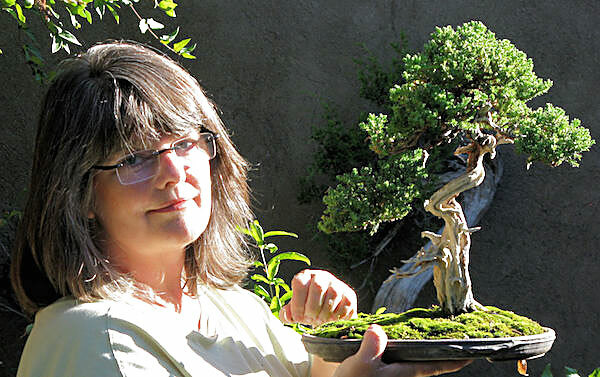 Contact Pauline at PFM Bonsai with questions or to register for either workshop. Space is limited.